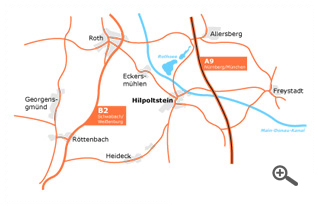 Our new premises is no longer located directly in Hilpoltstein, but in the business park "on the freeway" (6 km outside of Hipoltstein on the A9). Leave the gateway no. 56 Hilpoltstein south. Then straight over the traffic circle towards motorway service area. Drive past the motorway service area and follow until the next traffic circle. 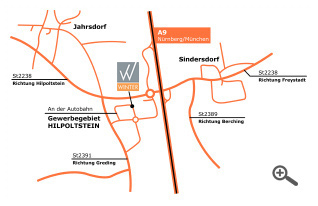 Our company building is located directly across the circle. Leave the gateway no. 56 Hilpoltstein south. At the crossing after the exit left turn in the direction of Hipoltstein. In the next traffic circle third exit direction motorway service area. 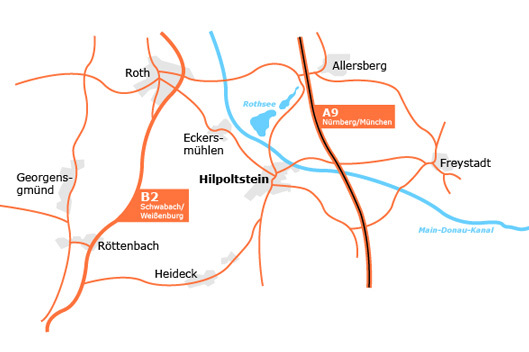 Drive past the motorway service area and follow corner until the next traffic circle. 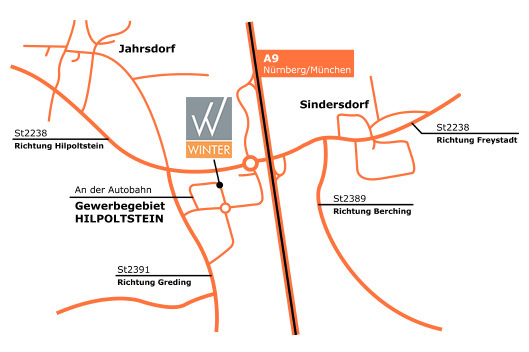 Our company building is located directly across the circle. Download our directions (incl. map) as PDF!